The world’s only soluble Creatine Phosphate Complex. Formulated from only the purest natural ingredients, it’s safe, fast-acting and free of side effects. Superior raw materials blended in the perfect physiologic doses provide peak performance with each use. They've also added Glucosamine to make recovery even faster. i used this creatine awhile back and it is totally useless! ive been training now for 18 years and know what works, and this doesnt! stick with plain old creatine mono...cheap and very effective!! 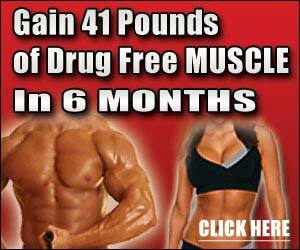 Liquid creatine has been proven no more effective than regular creatine monohydrate. If you buy this stuff your basically throwing your money away. Not sure what product "Auwful" is referring to, but ATP Advantage Creatine works! I'm 40 years old and have been lifting weights for approximately 4 months. The first 3 months I was constantly sore making my workouts far from optimal. After taking this product (and no other supplements whatsoever!) I've seen a HUGE difference in my workouts...and I'm not constantly sore. My lifting weight and reps have increased by 1/3. I can't imagine that the soreness I felt before and the increase in strength I've had now is all in my head (placebo effect). The results are the real deal. I should mention that I was very skeptical at first, but the results and effects were felt within the first couple workouts. You can spend a ton of money on other products or do nothing like I did for the first 3 months...your choice. But, if you have results half as good as I have, you'll be very happy with ATP Advantage Creatine. You can purchase this stuff fairly cheap which gives you 30 workouts. It's worth a try if you have the symptoms I described above before using this product. 16. What are the differences between serum and other forms of liquid Creatine Serum? This product has been proven not to work. The creatine is converted nto ctreatinine which is a waste product that you basically piss out. Stick to powder. For those who think it works it simply can't and you're just suffering the placebo effect.